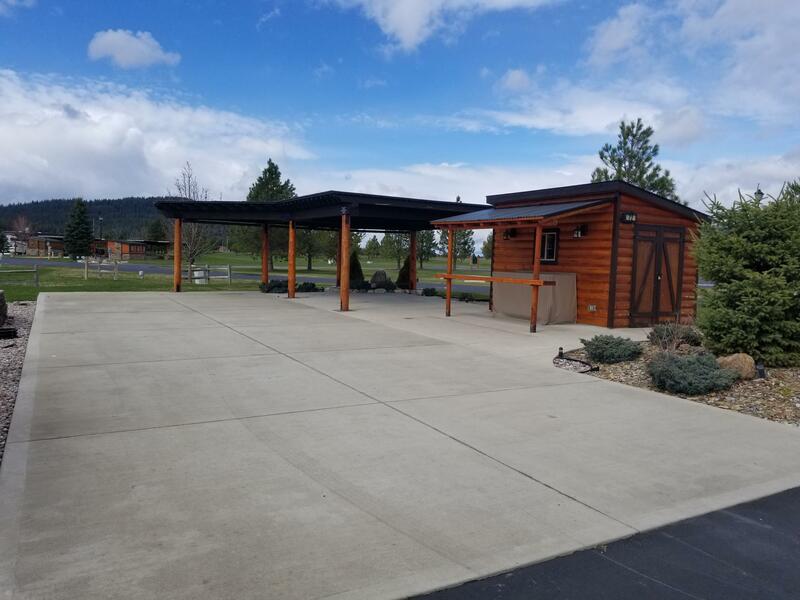 Motor Coach Corner Lot with unobstructed views of the mountains, Come experience the beautiful sunsets and gorgeous views of the Blanchard Valley. Including a 8' X 12' Cabin that has small refrigerator, 50 amp power. and custom built cabinet with granite top. Coach also has 50 amp electric service, with large pergola, electric awning, drop shades, lighting around pergola roof, hookups for (2) fans and pre-wired for TV. Low maintenance landscaping and a water feature. Close to the owners lounge with outdoor swimming pool, hot tub, full kitchen, bathrooms w/showers and a exercise room all for your enjoyment. Amazing dog park also is available for your fury friends. Enjoy the 19 hole golf course, the Grill Restuarant and miles of walking/biking trails that this community has to offer.